How do we make cities work for people? As a WRI Helms Fellow on Urban Governance and Sustainable Cities, Maria Antonia Tigre was tasked with answering this question. Through From ideas to implementation: making sustainable cities through governance here on TheCityFix, Maria will draw on her field research in two Brazilian cities—Rio de Janeiro and São Paulo—to explore the key governance gaps in urban planning, law, public policy, and institutions. Each part of the series will examine how reforms to urban governance can ensure that city-level decision making is transparent, inclusive, and accountable. Brazil, like many Latin America countries, has recently faced a series of corruption scandals. While no one wants to see government fraud, there is a silver lining to these scandals: public officials are finally being held accountable for their actions. These discoveries were made possible only because citizens and organizations pushed local governance to be more accountable. Given these recent events, there is hope that Brazilian cities will become more transparent and responsive to citizens’ needs as they create budgets, projects and policies. 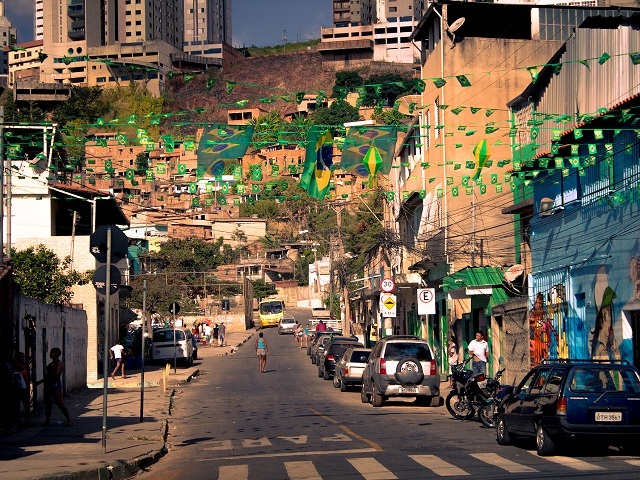 Brazil may have a unique relationship with corruption, but many cities in developing countries struggle with similar issues. And as these regions continue to urbanize and grow, it is critical that local governments prioritize accountability to their citizens. 1) Generating Platforms for Notifications & Complaints: Governments should establish online platforms or other formal methods of communication that citizens can use to file complaints, request government information and whistle-blow on corruption. Once these pathways of communication are created, officials must be responsive. Letting citizens know that their voices are being heard fosters a culture of transparency and dialogue. One way to accomplish this is by creating an independent committee that can impartially assess and respond to citizens’ claims—like Hong Kong’s Independent Commission Against Corruption. The decisions made by these external bodies should be open to the public, and the individuals who file grievances should be directly notified. 2) Effective Dispute Resolution: It is important to have procedures in place to fairly settle disputes between citizens, the government and public servants. Judiciary systems, especially in Brazil, often have lengthy, ineffective processes for resolving disputes. To solve these problems and to streamline the judicial process, governments need clearly outlined dispute resolution protocols to ensure that courts are impartial and fairly assess cases. Consider, for example, how this process operates in Brazil. On the one hand, most judges must pass a standardized test to demonstrate knowledge of that law and are then rewarded for good work through promotions. However, the Brazilian Supreme Court, responsible for attending to constitutional matters, works differently: justices are simply appointed by the President. Once appointed, justices serve for life. Since the Labor Party (PT) has been in power for nearly 13 years, 9 out of the current 11 Supreme Court justices were appointed by the PT. This number will increase to 10 out of 11 in 2016, when another justice retires. While this does not inherently mean that the justices are biased, the current situation raises questions over whether or not the court can be impartial in its dispute resolutions. 3) Defining Authority & Ensuring Oversight: To help citizens keep officials accountable, the responsibilities and powers of mayoral offices should be clearly defined. Clearing up ambiguities reduces the pressure on local governments to perform functions not within their power, and citizens can hold local officials to specific obligations. For example, Brazil passed a law in 2010 requiring candidates to have a clean slate, called “Ficha Limpa.” A candidate who has had her/his license revoked, has resigned to avoid impeachment or has been convicted of a crime becomes ineligible to run for office for eight years—even if there is the possibility of an appeal. While this doesn’t solve the problem of corruption, laws like “Ficha Limpa” offer clear regulations on dealing with officials who are most prone to corruption, and are the first step to achieving accountability. Accountability is one of the key pillars for improving governance in sustainable cities. Naturally, transparency and accountability work hand-in-hand, and efforts to achieve one should include the other. Governments should work hard to make use of programs and policies that allow for better monitoring and evaluation of decision making. For example, there is much to be learned from the non-profits that have started tracking government activity and comparing promises made during elections with official decision making. These are the kinds of tool citizens need to ensure that their elected officials are held accountable, and perform their duties for the city, rather than for themselves. Improving Accountability is part five in our series From Ideas to Implementation. Click to read parts: (1) (2) (3) (4).